Step out of the city life by going to St. Kilda Beach and Melbourne Zoo. Visit Old Melbourne Gaol and St Patrick's Cathedral for their historical value. Change things up with these side-trips from Melbourne: The Great Ocean Road (in Torquay) and Werribee Open Range Zoo (in Werribee). There's lots more to do: admire the natural beauty at Royal Botanic Gardens, take a stroll through Melbourne Central, kick back and relax at Half Moon Bay, and soar above the sights with a balloon tour. 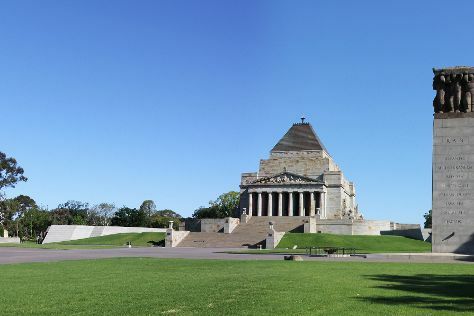 To find photos, maps, ratings, and tourist information, refer to the Melbourne holiday planner. If you are flying in from Singapore, the closest major airport is Melbourne International Airport. In November, plan for daily highs up to 26°C, and evening lows to 11°C. Finish your sightseeing early on the 4th (Mon) so you can travel back home.